Reassurance shield after the Marshall business loop split. 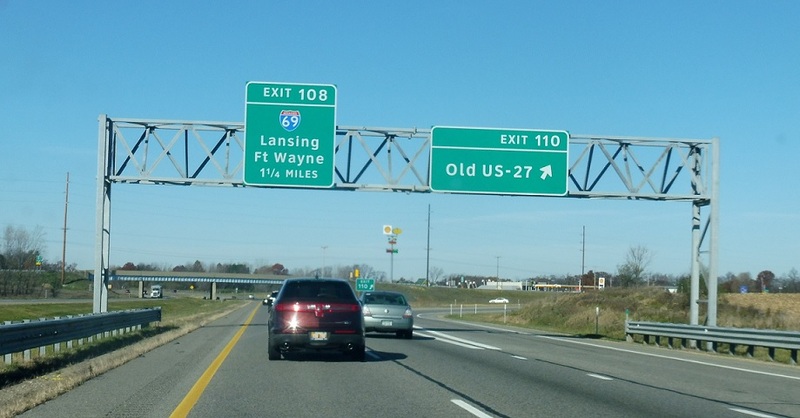 Exit for Old US-27 on the north side of Marshall. 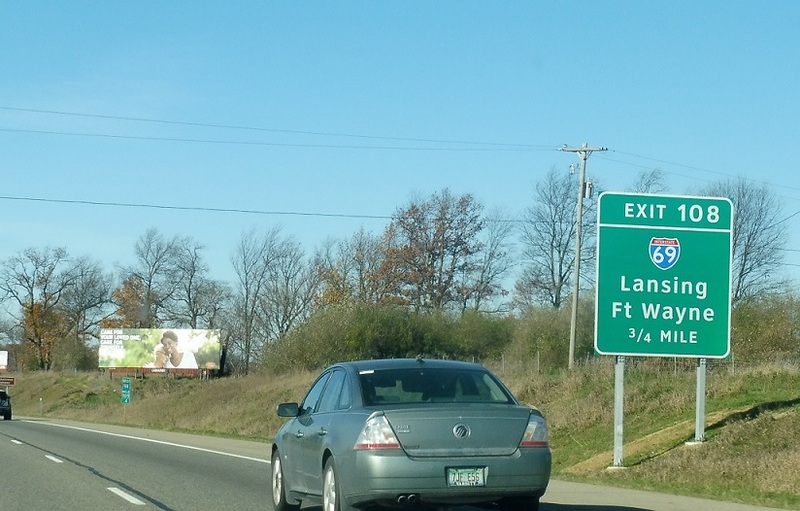 Exit in 1.25 miles for Interstate 69. Reassurance shield after old 27. 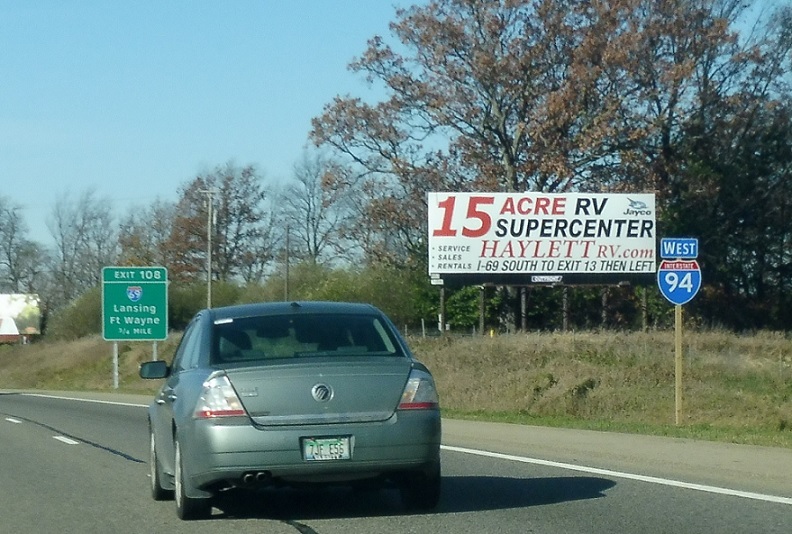 In 3/4 of a mile, we’ll approach I-69. 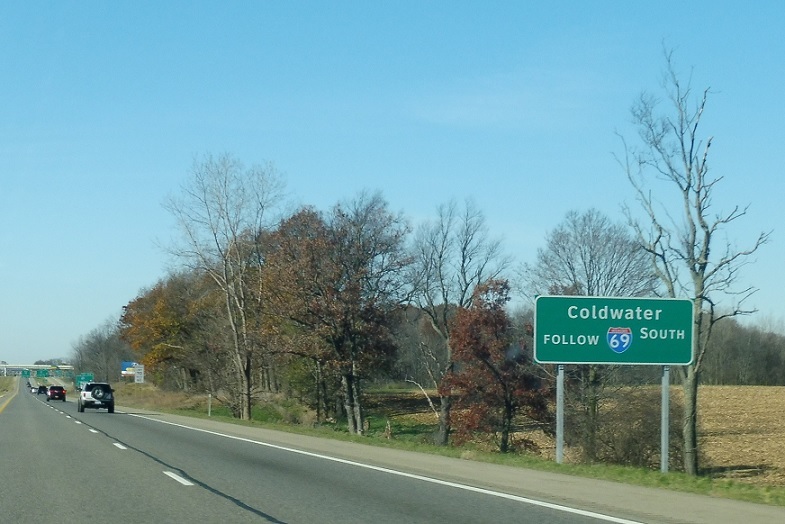 Follow I-69 south to Coldwater. 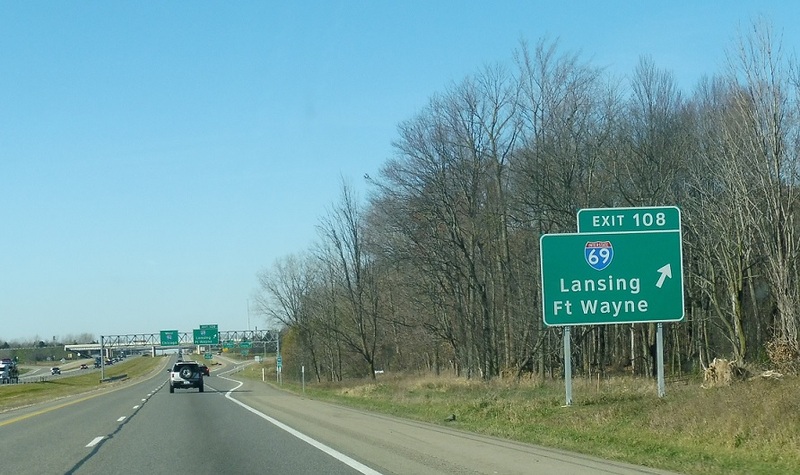 Exit for I-69 north to Lansing and I-69 south to Fort Wayne, Ind. 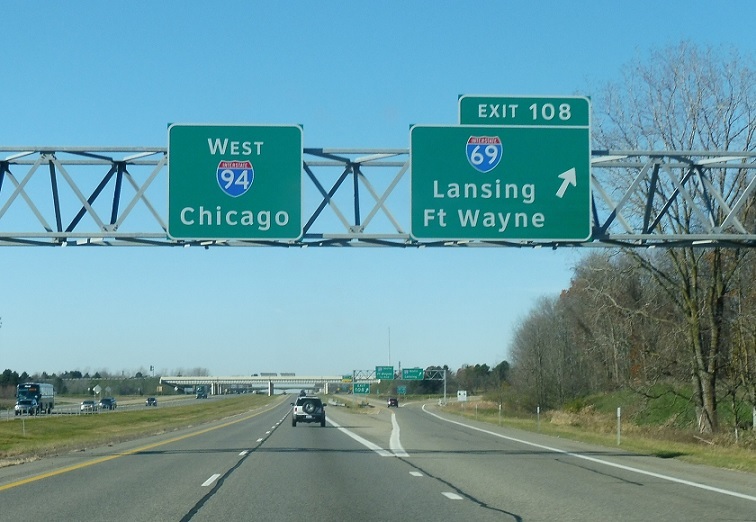 Exit for I-69. 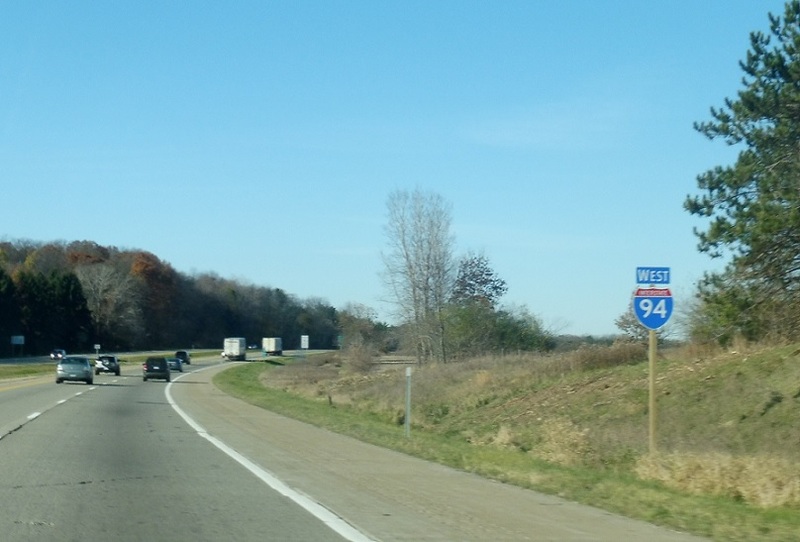 Follow I-69 south for the eastbound I-94 Marshall business loop.